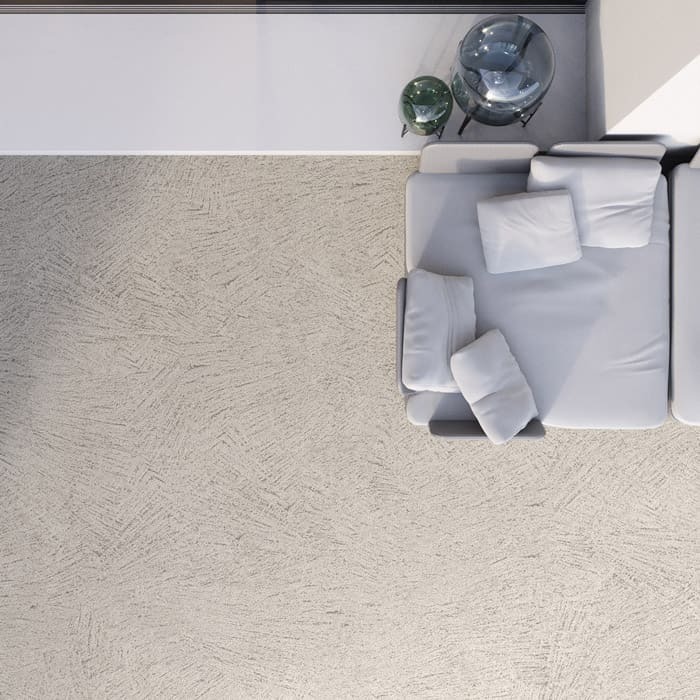 Elegant, seamless, minimalist; Rasico® attracts with its unique finishes. 2018 is the year of physical and mental wellness. Well-being relates to many spheres amongst which the house plays an important role, whether you prefer a refined, clean and minimalist look or a livelier style, characterised by strong colours and original details. 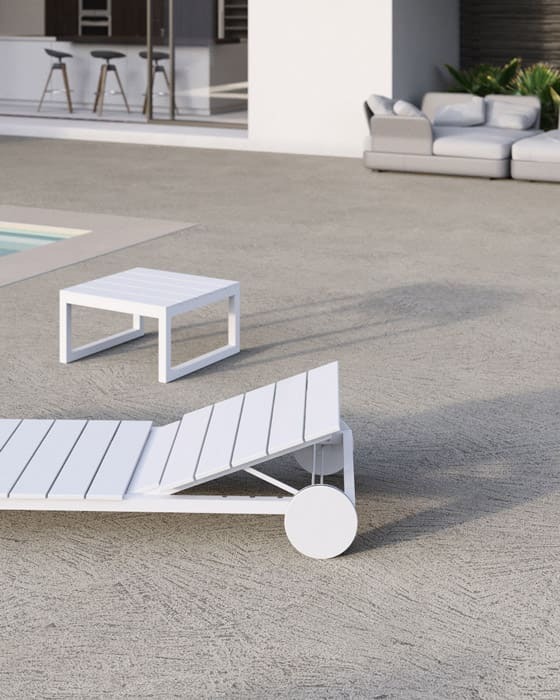 Imagine if you could customise your external areas, turning them into minimalist environments or make them versatile with jungle-style furniture: with Rasico®, Ideal Work’s new outdoor solution, you can enjoy great freedom of expression as it has been designed as a neutral background to highlight furniture, plants and flowers. 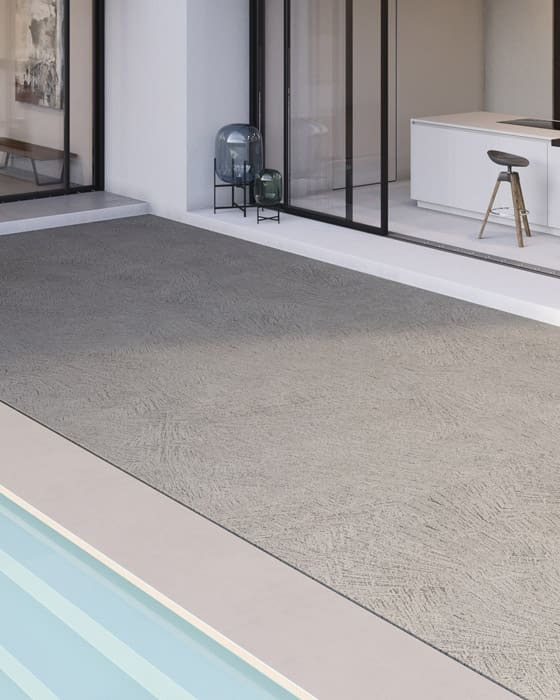 Perfectly matching with Microtopping, Rasico® is also seamless but stands out for its dynamic and colourful design (up to 29 standard colours are available), characterised by its unique finishes which can be varied through colour choice and application technique. Rasico’s minimalist look highlights the natural materials which which it is combined, the nearby architectural structures and the combined furniture, whether applied in a garden or any other outdoor area: Rasico® allows you to obtain an elegant environment in which to rest and relax, perfect to regenerate both body and mind. If you are looking for a solution to renovate your external areas, note that Rasico® can be applied to both new and existing substrates, avoiding the necessity for disruptive heavy restoration works making it ideal for renovations on terraces and balconies. It’s quick application time makes it possible to walk on Rasico® just a few hours after installation. 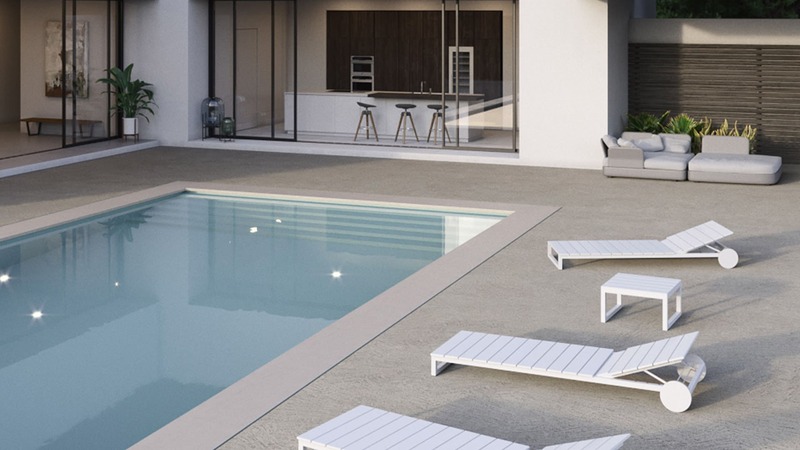 By offering a slip-resistant surface, Rasico® is also suitable for pool deck applications. Easy to clean and maintain, Rasico® is a long-lasting solution. Due to exclusive protective treatments, the surface proves to be extremely resistant to abrasion, oils, water, atmospheric agents and UV rays. It’s high wear resistance has been proven by several tests.